Worthy to be included in Fortnightly Top Forty this November? Strategy& and PUF were joined by five CEOs for a ‘virtual’ roundtable. Akins describes why more focus was placed on innovation, how to invent a culture of innovation for the long term, and how to get incentives properly lined up. 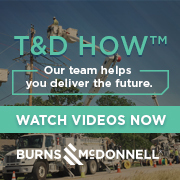 Baxter describes how Ameren established a strong foundation for innovation without making radical changes to incentives, and how companies become more self-sufficient in their innovation. Crane describes how Exelon approaches innovation both from a broad perspective, and in more narrow terms. Fanning describes how he built innovation, how to get organizations to change, and maintaining momentum. Pizarro describes EI's experiences prioritizing innovation, embedding an innovation culture, and the lessons learned. With Steve Young of Duke Energy, Art Beattie of Southern Co., and Mark McGettrick of Dominion. We talked with young and diverse engineers that are leading the way for our industry. We talked with some of the young and diverse engineers that are leading the way for our industry.